Eighteen years after the Durban conference, government efforts to increase medicine access – beyond HIV treatments – have been excruciatingly slow. 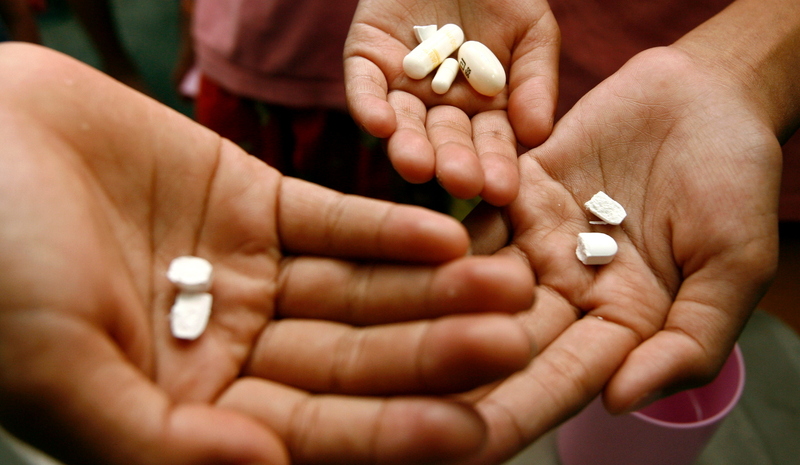 Though ARVs are now widely available, many more shocking cases of injustice in access to essential medicines remain. It should not be so. We can change it, now. In late 1997, just over 20 years ago, I was severely ill with the full symptoms of deadly Aids. The disease was consuming my body. At my lowest, most despairing point, I could not even walk up a flight of stairs. Within just a year or two, my body should have been in violent decline. Repeated, increasingly severe infections should have been assailing my flesh and sapping my strength. Instead I was alive. I was fit and well and energetic. I performed my court duties, chaired long and exacting meetings, performed more and more public duties, and spent loving evenings with family and friends. What made the difference? Antiretroviral (ARV) drugs. They saved my life. They have kept me fit and health for the last 20 years and more. Accessing treatment allowed me to restore and maintain my good health, to deepen my relationships, to go on to work at the Constitutional Court. At the time I started ARVs, they were becoming known as “Lazarus drugs” – this was because they resurrected patients from their death-beds. I understood this better than most. Yet, even as pharmaceutical innovation saved my life, I saw the profound iniquity in a drug development system that enforced narrow intellectual property claims through the system of patents. Access to medicine had little to do with medical need, with people’s lives and health. South Africa was in the midst of a searing HIV epidemic, but only a handful of people – the ultra-privileged few, like me – were receiving treatment. Medicine access, at that time, was about markets, patent-granted monopolies and, above all, money. Money! Taking pills every day saved my life, only because I could afford to pay for them – at their still vastly inflated 1997 prices. It was a third of my judicial salary. At that very time, millions of people in Africa with HIV could not afford to pay these exorbitant prices. But the skewed patent law system allowed patent holders to withhold lifesaving medicines. The effect? Poor Africans were left to die. This was the largely neglected, side-effect of intellectual property. The moral enormity, the human iniquity, and the practical intolerability were overwhelming. What changed? It was brave, principled, imaginative campaigning by South Africa’s Treatment Action Campaign (TAC). Its moral challenges to drug pricing shook the world awake. TAC refused to accept that lifesaving treatment – treatment that was available and that could be cheaply produced – would not be given to poor people, most of them black, because of laws protecting intellectual property and securing patent-holders’ profits. The previous afternoon it was TAC that led the charge in the streets of Durban, with a massive march. The moral voice was theirs, in the cities and townships and suburbs, in the media and, later, in the courts. Angry, thoughtful and determined activists shifted the moral debate. People, not patents, must be put first, they demanded. TAC led a successful campaign that saved millions of lives. This is now documented in a new history. High victories were won. Drug prices fell. Africa-wide access programmes were created. The intense global focus on ARV treatment has diminished – though problems persist. The fundamental barriers to access to medicine remain. Two problems in particular disfigure the intellectual property system. First, it is wildly skewed. It heavily favours corporations and the pharmaceutical industry over the public interest. Because corporations can generally charge what they please for drugs they control, many essential medicines are priced out of reach. Today, people with cancer and TB needlessly suffer. They are denied a chance to live. Unnecessarily. And unjustifiably. Corporations also exploit untenably wide patent laws to re-patent the same drug, with the object of preserving their monopolies by any means necessary. The Department of Trade and Industry (DTI) has released a new intellectual property policy that targets these abuses. New legislation giving effect to this must be adopted without delay. Second, the system fails to deliver on its primary promise: investment in research and development of new medicines for diseases that most urgently affect more people’s lives. We need better, less toxic medicines for tuberculosis. We need new antibiotics. When it comes to incentivising innovation where no profitable market exists, the patent system is rudderless. We need better solutions. They exist. One, Delinkage, proposes incentivising research and development through grants, subsidies and cash prizes instead of patent monopolies. The South African government must vigorously support these policies globally.